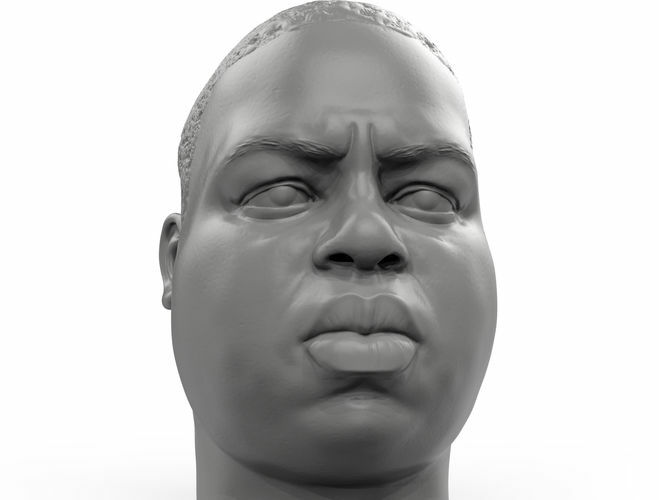 3D printable portrait of Notorious B.I.G. Biggie. OBJ files of Biggie with pores and without pores. STL files of biggie with and without pores. One stl file with 1.1 mm shell. Stl files are 120 mm height.